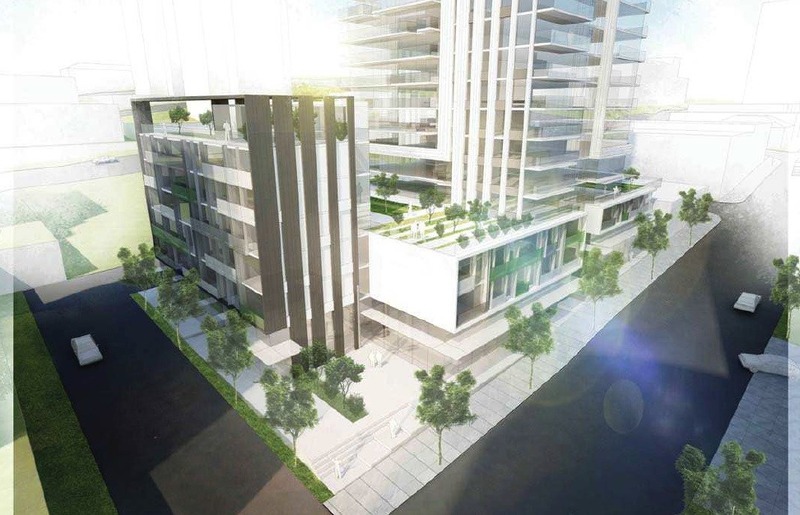 Earlier this week, New Westminster City Council approved Stage New Westminster, a mixed-used redevelopment that provides the downtown area with 245 new homes. 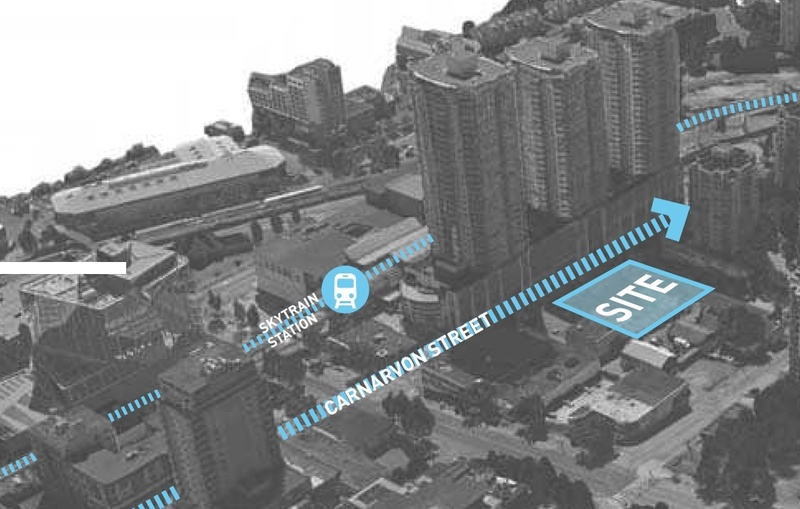 The project site at 813-823 Carnarvon Street – a light industrial site surrounded by tall buildings – is directly across from SkyTrain’s New Westminster Station and a future Chinese-themed public park and garden, which is part of another proposed tower redevelopment. 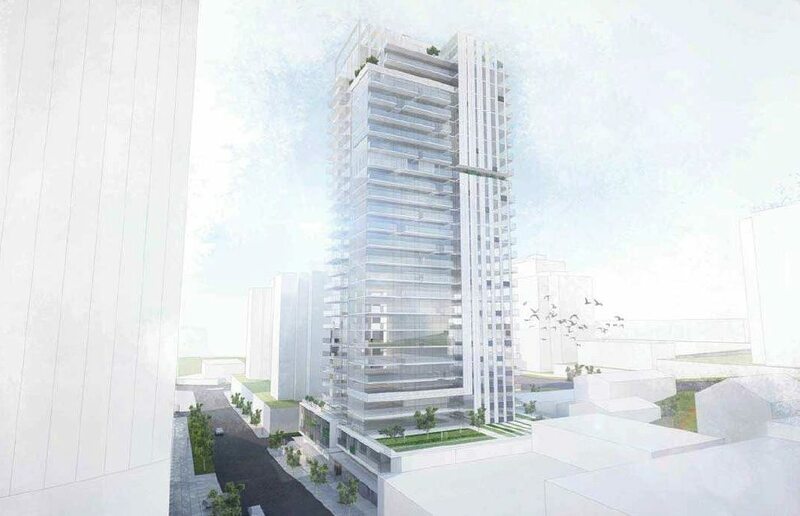 Local developer Domus Homes has partnered with GBL Architects to design a 290-ft-tall tower with 29 storeys with 190 market condominium units and a seven-storey mid-rise building with 50 non-market rental units. 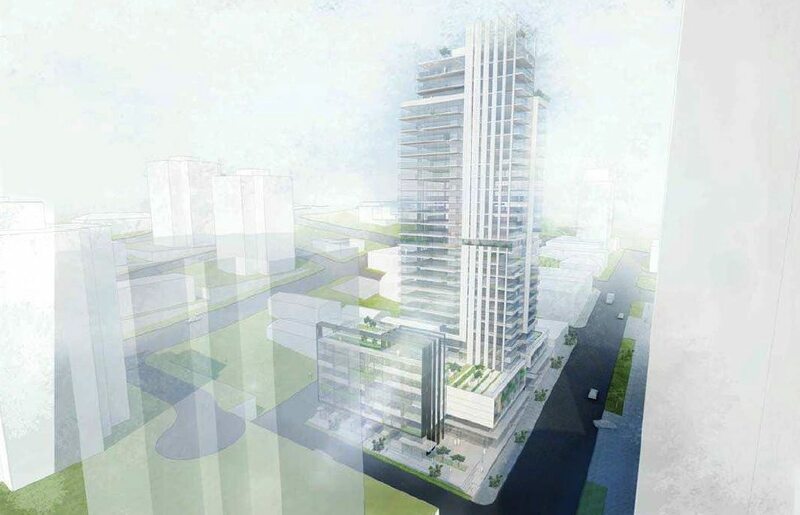 The non-market rental units will be constructed for non-profit organization Performing Arts Lodges (PAL), which provides ‘veterans of the performing arts industry’ with affordable housing. When complete, these units for musicians, dancers, actors, writers, and artists – with the priority being for veteran artists 55 years or older – will be operated by PAL. Close to 40% of the market units will have two bedrooms or more to satisfy the municipality’s Family-Friendly Housing Policy. The market unit mix is 118 one-bedroom apartments, 54 two-bedroom units, 10 three-bedroom townhouses, and 13 three-bedroom apartments. All of the non-market housing are single bedroom units as this component of the project is exempt from City requirements. 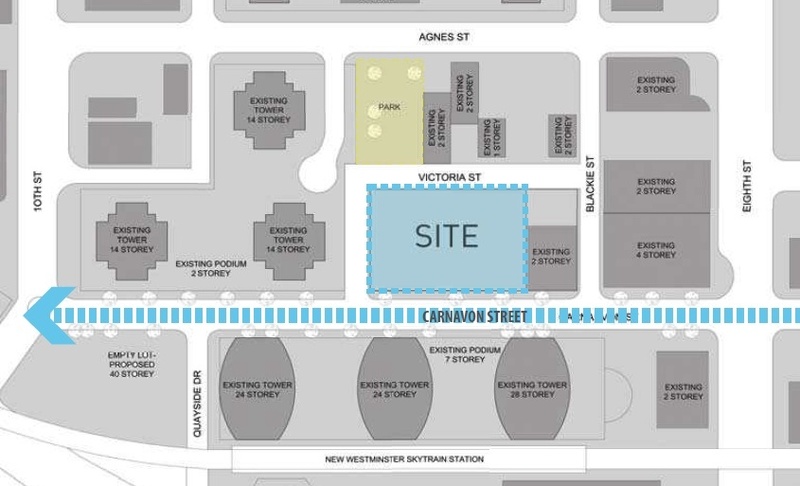 There will be a small commercial component of 6,100-sq-ft of retail and restaurant space on the ground level at the southwest corner of the property, where a small public plaza will be built. Along the Victoria Street ground-level face of the complex, a mural with a yet-to-be-determined design that celebrates the Chinese community is planned. The location is strategic as it is directly across the street from the future Chinese-themed public park and garden. 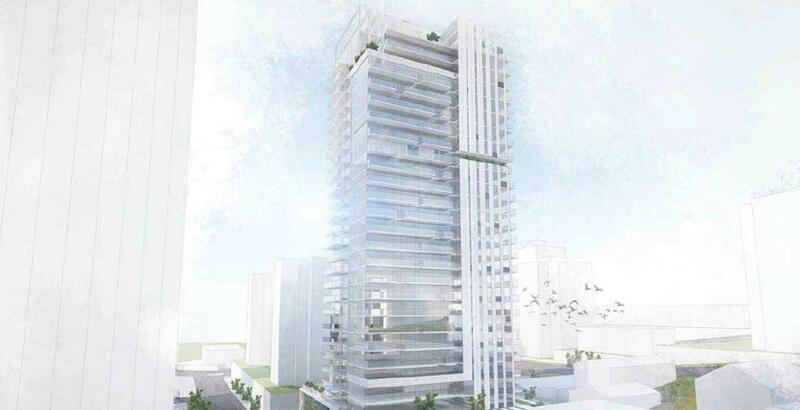 Altogether, the planned total floor area on the 26,100-sq-ft lot is 202,275 sq. ft., which provides the project with a floor space ratio (FSR) density of 7.75. 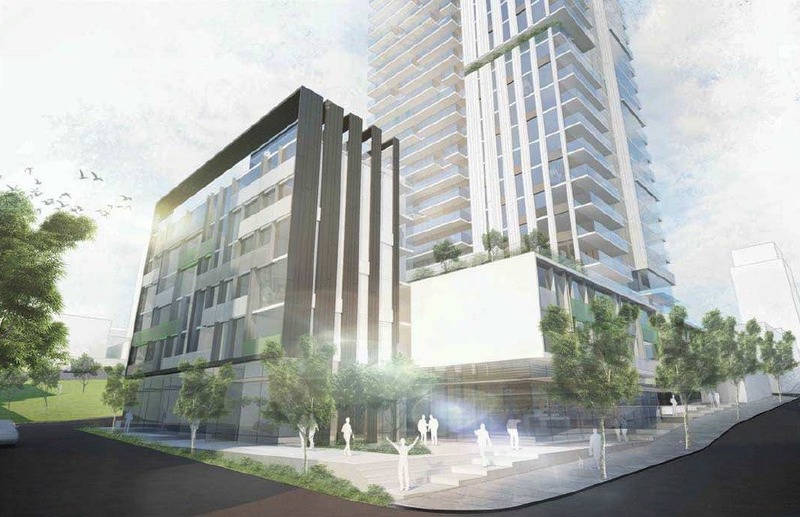 About 300 underground parking stalls will be built to support the project.